Nathan was different and Sally knew it. From his early childhood, Nathan was bursting with creativity and uncontainable energy, struggling not only with learning issues but also with anxiety and OCD. He saw the world through his own unique lens-one that often caused him to be labeled as ""bad,"" ""troubled,"" or someone in need of ""fixing. 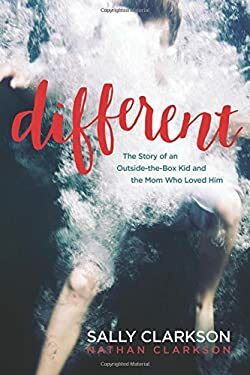 ""Bravely choosing to listen to her motherly intuition rather than the loud voices of the world, Sally dared to believe that Nathan's differences could be part of an intentional design from a loving Creator with a plan for his life. She trusted that the things that made him different were the very things that could make him great.Join Sally and Nathan as they share their stories from a personal perspective as mother and son. If you are in need of help and hope in your own journey with an outside-the-box child, or if you're an adult trying to make sense of your differences, you'll find deep insight, resonance, and encouragement in the pages of this book. Dare to love and nurture the ""different"" one in your life.